In Shanghai, China, shipyard employees report that the Chinese Navy has ordered two 60,000 ton aircraft carriers, and preparations are under way to begin construction this year, with completion scheduled for 2015. 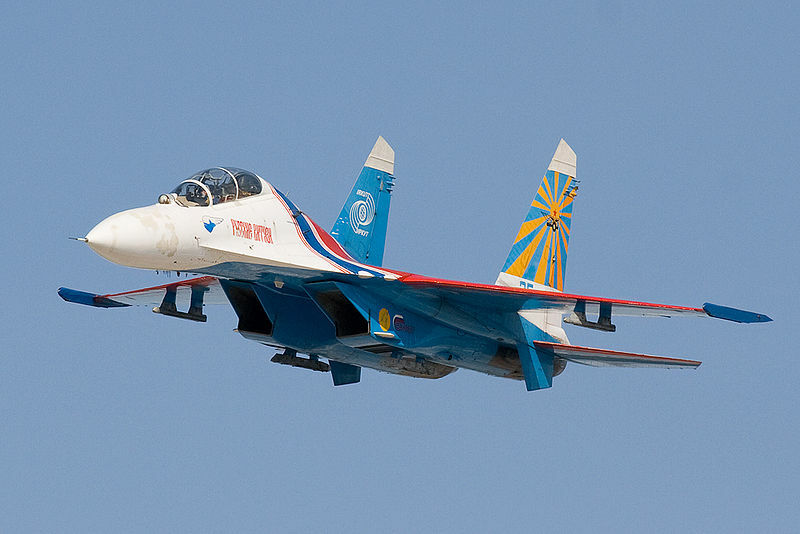 Fifty Russian Su-33 jet fighters would be imported to serve on the new carriers. Chinese naval aviators would use the former Russian carrier Varyag as a training ship, to learn how to operate the Su-33s off carriers. Recently, Chinese officials visited Ukraine and inspected the naval aviation training facilities that were built there before the Soviet Union dissolved (and Ukraine was part of the Soviet Union). Ukraine wants to use those facilities to establish an international center for training carrier aviators. 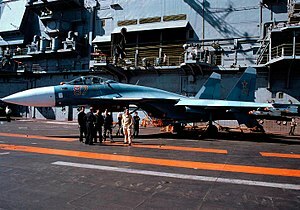 An Su-33 on board Admiral Kuznetsov. Chinese admirals have said they need carriers to assure Chinese access to raw materials, especially oil, that comes by sea. China hopes to get key components for the carrier from Russian manufacturers. If that is possible, completion of the carriers might be speeded up by a year or two. Three months ago, China announced that its first class of carrier aviators had begun training at the Dalian Naval Academy. The naval officers will undergo a four year course of instruction to turn them into fighter pilots capable of operating off a carrier. China already has an airfield, in the shape of a carrier deck, built at an inland facility. The Russians have warned China that it may take them a decade or more to develop the knowledge and skills needed to efficiently run an aircraft carrier. The Chinese are game, and are slogging forward. A year ago, the Russian aircraft carrier Varyag was renamed the Shi Lang (after the Chinese general who took possession of Taiwan in 1681, the first time China ever paid any attention to the island) and given the pennant number 83. The Chinese have been refurbishing the Varyag, one of the Kuznetsov class that Russia began building in the 1980s, for several years now. It is expected to be ready for sea trials any day now. Originally the Kuznetsovs were conceived of as 90,000 ton, nuclear powered ships, similar to American carriers (complete with steam catapults). Instead, because of the cost, and the complexity of modern (American style) carriers, the Russians were forced to scale back their goals, and ended up with the 65,000 ton (full load ) ships that lacked steam catapults, and used a ski jump type flight deck instead. Nuclear power was dropped, but the Kuznetsov class was still a formidable design. 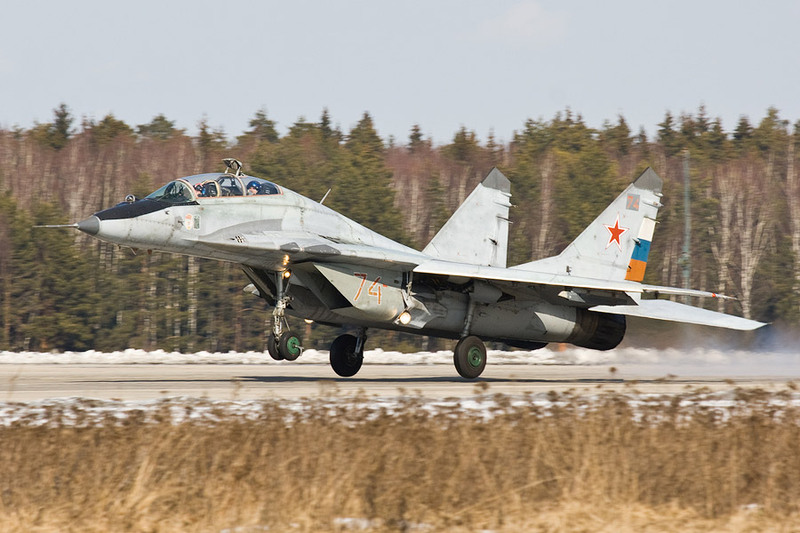 The thousand foot long carrier normally carries a dozen navalized Su-27s (called Su-33s), 14 Ka-27PL anti-submarine helicopters, two electronic warfare helicopters and two search and rescue helicopters. 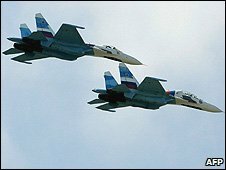 But the ship can carry up to 36 Su-33s and sixteen helicopters. The ship carries 2,500 tons of aviation fuel, allowing it to generate 500-1,000 aircraft and helicopter sorties. Crew size is 2,500 (or 3,000 with a full aircraft load.) Only two ships of this class exist; the original Kuznetsov, which is in Russian service, and the Varyag. The Chinese have been in touch with Russian naval construction firms, and may have purchased plans and technology for equipment installed in the Kuznetsov. Some Chinese leaders have quipped about having a carrier by 2010 (this would have to be a refurbished Varyag). Even that would be an ambitious schedule, and the Chinese have been burned before when they tried to build new military technology in a hurry. You are currently browsing the archives for the jets category.